Why do people become so incensed the minute you mention it? How can you learn what you need to know and how to beat it? Well, I am going to do my best to explain what it is, why people become so enraged and why everyone seems to have a “Zollamt story,” and what you can do to try to avoid having to deal with it. 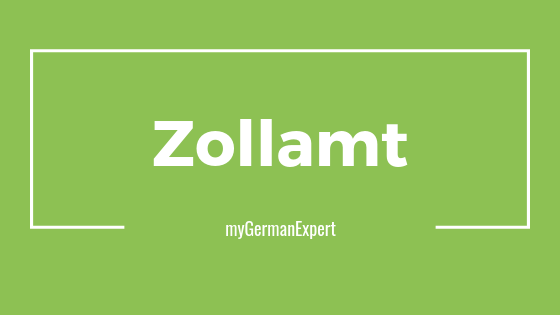 First, the what- what is the Zollamt, or the Zoll? The Zollamt deals with imported and exported items arriving through the post. In other words, all packages outside of the European Union must clear customs. The clearance often happens upon arrival at an international airport in Germany, but those non-EU parcels sometimes end up at the local Zollamt. This is why it is mainly expats who seem to have run-ins with the Zoll and who all have stories to share about it; I say it is mainly expats because that is who I spend the majority of my time with in Berlin, and I have yet to hear any stories or anger from locals when the Zoll is mentioned. All right back to the facts: so this is the customs arm of the federal government, which lets you know that this isn’t going to be an enjoyable experience for most people. Remember, that the customs services of most countries ensure the flow of revenue from federal trade tariffs and taxes (excise taxes, the beer tax, electricity tax, etc etc). As explained above, the Zollamt is also responsible for monitoring the importing, exporting and transit of all goods coming through Germany. Let’s think about that for a second: “concerned with the importing, exporting and transit of all goods,” plus ensuring revenue from tariff law… so that care package from Grandma with all her baked goods and Christmas gifts that she valued as worth USD 200 will most certainly be tagged and inspected, plus you residing within Germany will receive a bill for taxes on whatever is in that care package. 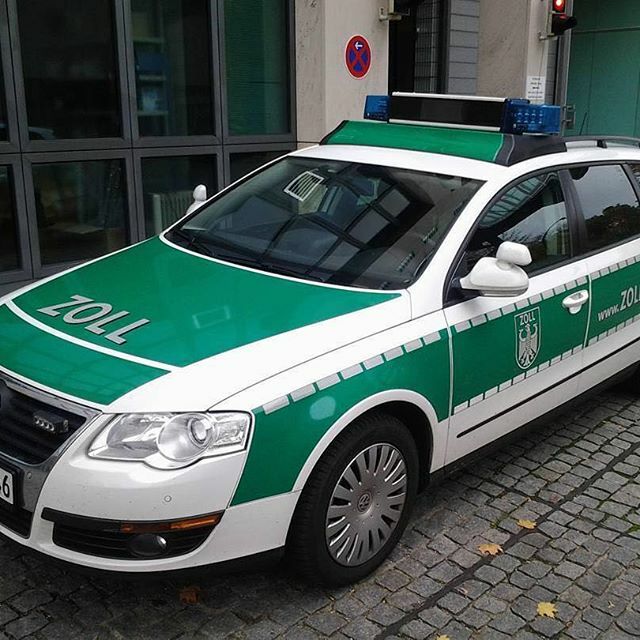 Back to the facts: the Federal Customs Service executes demands for payment by the federal government through the “Bundesagentur für Arbeit” (the government employment agency); these are the civil servants that we all get to deal with when we have to go to the Zoll to collect our package and pay the taxes. 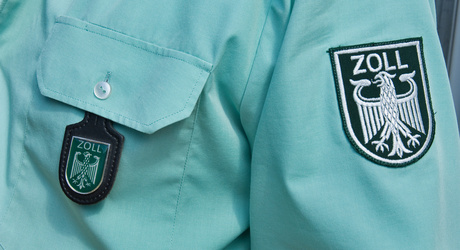 Ok, so now we have covered the official name and federal mandate of the Zoll. Let’s now look at why people seem to become so heated and angry whenever the Zoll comes up in conversation. Basically, it’s like I said above- whenever you receive any type of care packages or gifts, or order something online from a non-EU country to your address in Germany, the person sending it needed to fill out some sort of customs declaration where (s)he listed the items inside and their value. Now, if you’ve got no frame of reference for this and don’t know any better, you would tell your family to be honest and truthful regarding the value of the items they are sending. This honesty is what will make all of your packages subject to inspection and taxes; I am not saying to be dishonest or lie, but, you do learn through experience to always value the items at less than the accepted amount that is not subject to any extra taxes. For example: my one and only Zoll story is as follows: I had been in Berlin for maybe a month when my mom wanted to send me some important mail (just mail, not gifts or items-paper mail like letters and bills, etc) and I asked her to include some small items from Target that I couldn’t find in Germany (mainly woven floss not that plastic/wax floss and some other small stuff). Fast forward about a month when I remember that I should have received this small package by now but I hadn’t, so I ask my mother if she mailed it? Yes she mailed it and she marked the value on the customs declaration as USD 60 and she sent it to the DHL package center address I gave her. I thought this was really strange, I mean, how long could a small box take to get to Berlin from the U.S.? I didn’t have a lot of friends in Berlin yet so I went to the hive mind on Facebook named “Free Advice Berlin” for some insight as to what happened to the package. It was here where someone asked me if my name was on the mailbox or not- basically had I been able to register using the address I had sublet? Well as a matter of fact, no, I wasn’t able to do so (this is another story for another day); and this random stranger informed me that because my name wasn’t on the mailbox, the Post hadn’t been able to deliver the official letter from the Zoll telling me that my package had been pulled, inspected and subject to further taxes. It was in that Facebook group where I also learned that you officially have only seven days to respond to the official letter from the Zoll and if you don’t respond within those seven days your package is returned to sender. Well, imagine my shock and surprise at learning these facts, plus learning that those “allotted seven days,” start from the EXACT MOMENT THE ZOLL DATES YOUR LETTER- there is no allowance for the delay of mailing it and delivering…no, no, no, the time clock on that seven days starts immediately. (Imagine that the Zoll picks out your care package on September 20 and sends an official letter dated September 20th to you… it takes two days to get to your address and you open it after work on the second day (September 22) at 7 pm at night. Your seven days are now five days to get to the Zoll and retrieve your package and pay the taxes. Say you work every day during normal office hours and the day you got the official letter is a Monday; well, you better take a morning off work or race over there to the Zoll during your lunch break because those five days are ticking away and once that seventh day, September 27th, comes, the Zoll will send your package back to sender without batting an eye.). I tell my mom I never did get the package because of this Customs issue and sure enough, maybe 6 weeks after she sent it to me, my mom came home to find the battered package sitting on her doorstep. This was my one and only experience with the Zollamt because I told my mom that the value threshold was only EUR 45 and sending me anything in the mail just wasn’t worth it at all if I am going to have to pay excess VAT taxes on the goods, even if they aren’t new goods. (I didn’t have to deal with this beyond paying the extra taxes but my shipment from the UAE of 13 boxes full of all of my used clothes and items-nothing new and unused- cost me an extra USD 400 when it came through German customs). 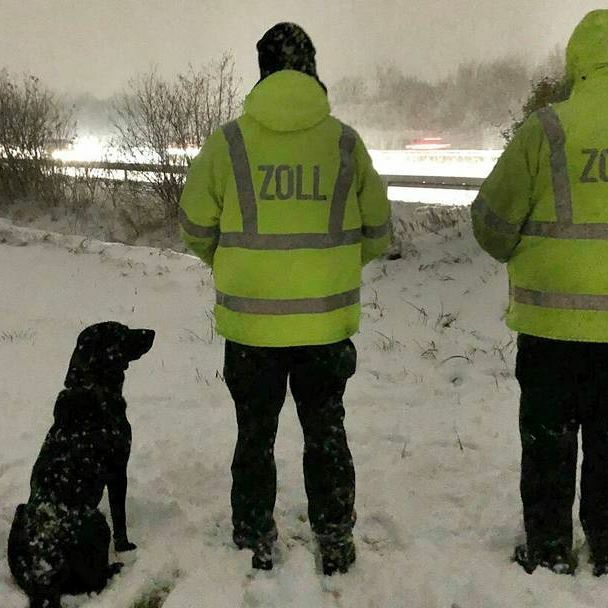 If you look through the expat Facebook groups, or the different blogs online written by foreigners living in Germany you will see and read many stories relating to the Zoll. Suffice it to say, it is in your best interest to either tell your friends and family to not bother sending you gifts etc, or learn what you need to do to avoid having any packages tagged by the Zoll. Whether this includes keeping the value at always under the allotted amount of EUR 45, or having your family wash any new clothes they are sending you so that they can truthfully mark “used” rather than “new” goods on the customs form…whatever it is you need to do, I highly recommend doing it. Check out the Customs Office website for further details. For me it was easier to just live without anything from the U.S. than having to take a couple of hours out of my day to get to the Zollamt office and pay the extra fees. 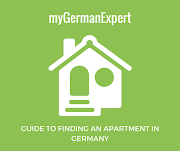 You need to figure out what you can live with and do some research to get tips and tricks from other expats on how to beat the Zoll. Tres C is an American who’s lived and worked all over the world and who has traveled extensively. She moved to Berlin in July 2017 with her dogs; she’s excited to share her hard earned knowledge about relocating to Berlin through her writing on this blog.